Welcome to the Office of Student Life! At Bourgade High School, we are proud to educate each student in many and diverse ways. Whether it be in a classroom, on a playing field, or in the broader community, opportunities abound for our Golden Eagles to more fully develop their God-given talents. Extra-curricular activities provide our students with opportunities to learn leadership, service, teamwork, how to put their faith into practice, and so much more. We strongly encourage our students to participate in the activities that are right for them. Our sports programs allow our students to grow physically while learning the values of sportsmanship and competition. Service oriented clubs and organizations such as CORE Team and Student Council teach participants how to give of themselves for others. Students can also lead their peers as organizers of blood drives, dances, and retreats. There is truly something for every student! 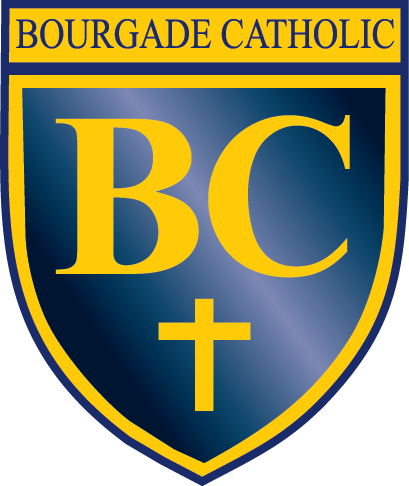 We invite you to please take a look at the many opportunities that are available at Bourgade Catholic High School!